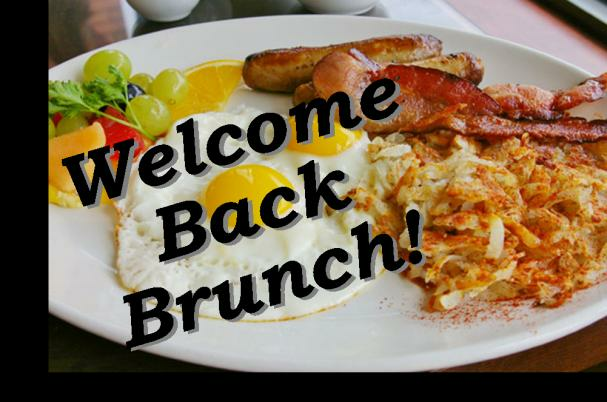 Join us for this complimentary continental breakfast and for chance to visit with other members whom you haven’t seen over the summer. Pizza & Movie : We will enjoy tasty pizza from Domino’s and sit down to watch the romantic comedy “The Other Woman” starring Cameron Diaz, Leslie Mann and Kate Upton. Must purchase tickets by Monday, September 15. What is a Falls Prevention Mobile Clinic? A Falls Prevention Mobile clinic is a group of health professionals traveling to a community to carry out specific assessments to determine one’s risk of having a fall, and discuss different actions participants can take to decrease their risk and remain independent. What will take place at the clinic? You will have a chance to sit down with health professionals one on one to discuss different aspects of your health and abilities. Through the assessments, your risk of having a fall will be determined and with your input an action plan will be created. Do I need an appointment to attend the clinic? Yes. 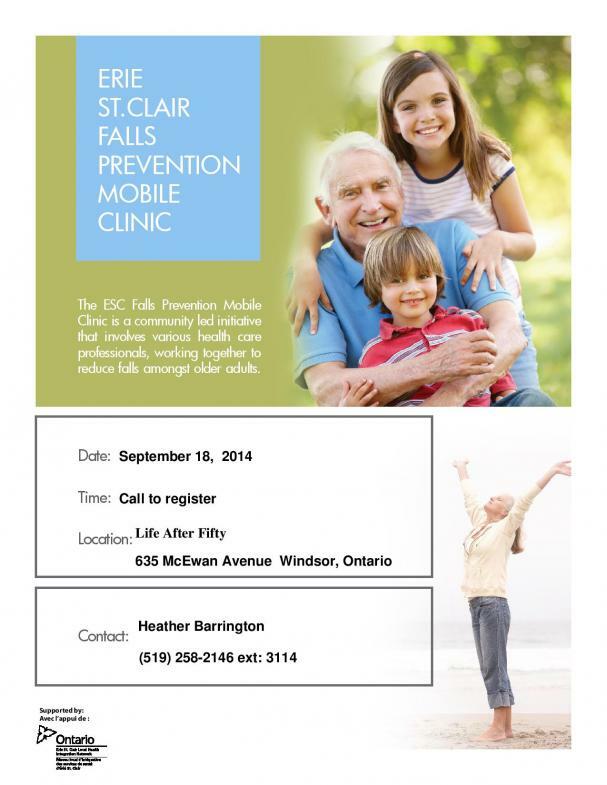 To book your appointment for the Windsor Falls Prevention Mobile Clinic, contact Heather Barrington at 258-2146 ext. 3114. You should plan to be at the clinic for about 2 hours. Who are the health professionals working at the clinic? Nurses, Physiotherapists, Kinesiologists, Occupational Therapists and Pharmacists from various organizations make up the team for the mobile clinic. What does the clinic cost? To attend the clinic costs you nothing.